Offseason Outlook – Can The Seattle Mariners Lure Otani? You are at:Home»Seattle Mariners»Offseason Outlook – Can The Seattle Mariners Lure Otani? With the Seattle Mariners mathematically eliminated from the 2017 playoffs like almost everyone else at this stage of the Major League Baseball season, it is an appropriate time to start talking about the upcoming off-season. What do the Mariners need to do to end their post-season drought in 2018? Stay healthy – but you can’t resign that, acquire it in a trade or call it up on June 1. That would actually look really awkward in the daily transaction report. Anyways, the No. 1 name on the free agent list this year isn’t Mike Moustakas or J.D. Martinez. It won’t be Yu Darvish, either, although guessing him would be getting “warmer”. The biggest name on the free agent market will be 23-year old pitcher/designated hitter (What?) Shohei Otani of the Hokkaido Nippo-Ham Fighters of the Nippon Professional Baseball Pacific League. It’s cool – I don’t have any of their players on my fantasy team either. Here’s a closer look into Otani. Unlike any of the previous gold mines to come out of Japan, Otani will be leaving A LOT of money behind when he does in fact decide to come to the states, but more on that later. To summarize his skills, the 23-year old pitcher throws mid 90s, has several polished secondary pitches and like most Japanese pitchers, we as MLB followers don’t really know what to call them. Dice-K Matsuzaka of the Boston Red Sox was given the term a “gyro-ball” to describe what he threw. Ridiculous name – BTW. With Darvish, it varies depending on who you talk to whether he throws a slider, a curve, a slurve, or something in between to go with that 60-m.p.h. floating curveball he occasionally uses. Frankly, we aren’t even sure what Otani pitches either, but we know he’s good. He battled some injuries this year which only further led to his mystique (not the X-men character). In his career in Japan, Otani has a career record of 41-15 with a 2.56 ERA and a 10.3 K/9 IP. As a hitter, he has been equally as impressive which has put him on the fast track to be the first legitimate two-way player in the major leagues. He hit .335 with eight homers in 217 plate appearances this season. Last year, he batted .322 with 22 home runs in 282 plate appearances during a season in which he remained healthy throughout. He’s still only 23 folks, after a fine five-year career in Japan. Well, due to his desire to hit AND pitch, an American League seems the most realistic, thusly eliminating half of the teams immediately. That was the easy part. The Mariners have had success with a relationship with Japanese players in the past. That Ichiro guy we already talked about comes to mind as does the Hisashi Iwakuma character that needed to have a better year than he did this year. Anyways, there is some history there. Because of his age, it makes him subject to less guaranteed money because of international player signing rules that were implemented by Major League Baseball years ago. Explaining them is a separate column all together, but the benefits to the Mariners are simple. 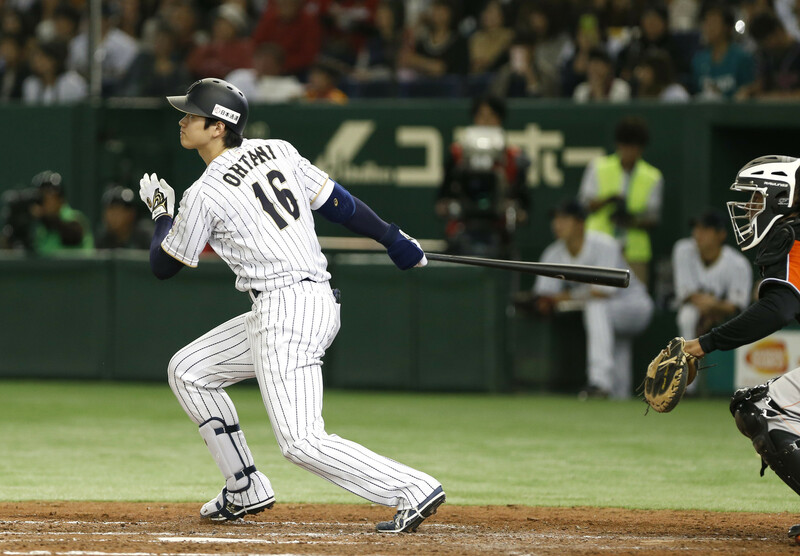 Otani will be drastically cheaper than some of his predecessors, allowing Seattle to compete with Boston, New York and maybe Anaheim or Texas in a market where Mariner teams in the past would have had to bow out as the price tag sky-rocketed. Simply put, the Mariners are in the mix at this stage of the game to sign a potential game-changer for next season. This is actually my favorite part of the whole Otani saga. Entering the 2017 Japanese season, Otani signed a mega-gigantic extension with the Nippo-Ham Fighters (I don’t want to offend anyone, but I keep picturing a Nippo-Ham Fighters as being a samurai pig-like warrior. The imagery is amusing.) His contract guaranteed him millions and millions of dollars that he will lose out on if he breaks the contract and gets “posted” by the Fighters – allowing him to sign with an MLB club. Posting is the official lingo I believe, but basically, he breaks his old contract – loses money – then is able to sign a new contract with an MLB club. Like I said before, due to international signing laws and his young age, there is a cap to how much it will cost for the Mariners or anyone else to negotiate a contract with him. From there, your guess is as good as mine as far as how much he would get paid. I have no idea, but I can’t wait to find out. The rumor on the streets now is that Otani and his people are searching for an agent. Pretty much scouts from every MLB team saw him pitch towards the end of his season in Japan this year. He’s on everyone’s radar so it really just comes down to when it will be official – and the biggest question on everyone’s mind – who will sign him? The Mariners need him. The baseball fan in me says any American League team except the Yankees or Red Sox. I want to see him play both ways – as a designated hitter on the days he doesn’t pitch. How cool would that be? We may soon find out. Enjoy the post-season baseball fans! Sorry Mariners faithful. We all must wait anyone year for a post-season berth. Hello friends of the Pacific Northwest! I am still learning the ways of the west coast sports, but I have quickly grown fond of many of your sports team and I really enjoy writing about them all! I grew up in a small town in Pennsylvania – not Philadelphia. 95% of the people I meet in Oregon assume I’m from Philadelphia. I went to college in Miami, Fla., moved to Denver, Colo. Before moving to Jamestown, N.Y. (south of Buffalo) where I was a sportswriter for the local newspaper for three years. 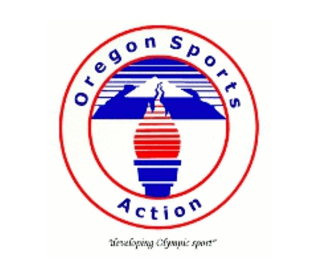 I got involved with the YMCA and was a youth sports director for six years at several different branches. Working with kids is fun…and I enjoy it, but writing sports stories is usually more fun – unless I don’t have a topic to write about in mind. Then playing basketball with third graders is way more fun. I have evolved into a Blazers fan, and am a HUGE fan of Terry Stotts. I like the Seahawks and the Ducks. The Mariners are cool too. Baseball is my favorite sport and my favorite teams are the Miami Marlins, Miami Hurricanes, Miami Heat and the Indianapolis Colts. (When you grow up with a bunch of Steeler fans, you have to be a rebel and I really liked Marshall Faulk) I look forward to learning and writing about the sports scene here in Washington and Oregon. Go Blazers, Go Ducks, Go Mariners, Go Hawks! And I guess those Beavers, Timbers and Hops are floating around somewhere too.